And here's the pulp, which can be frozen and then used in other recipes, like sorbets and smoothies: I wanted straight orange juice. 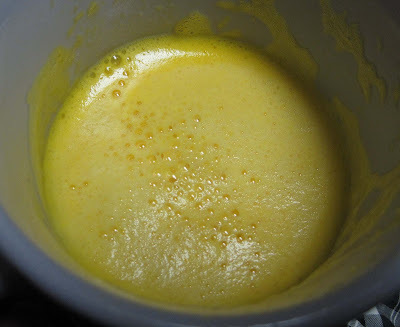 SP and SIL went for mixed juice. SIL juiced carrots, apples, oranges, and strawberries. 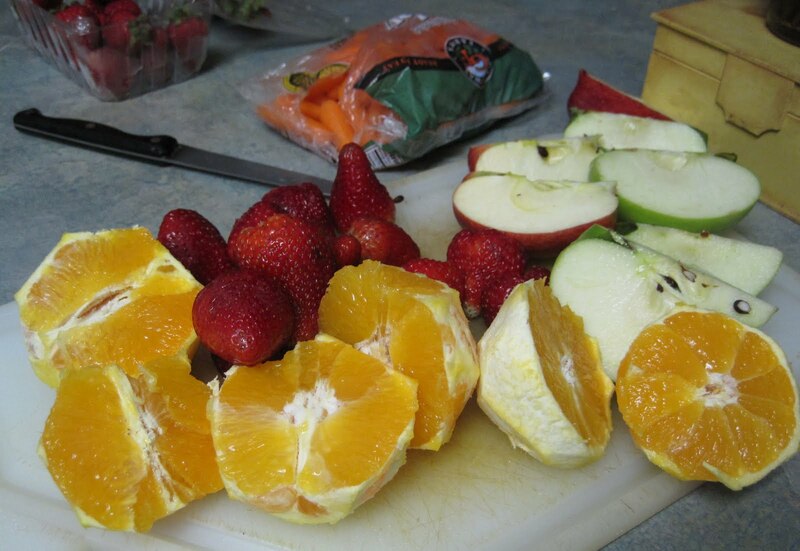 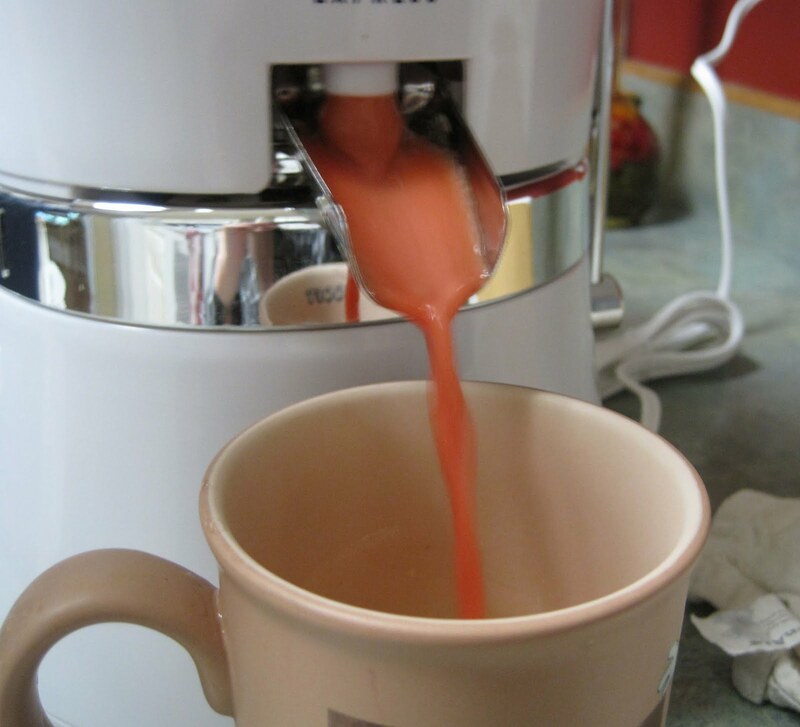 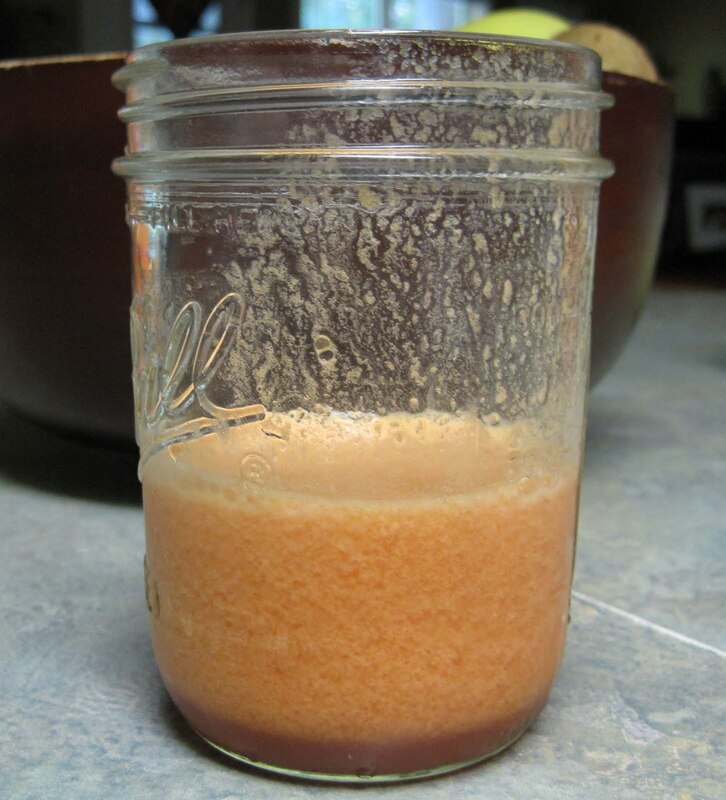 Here's strawberry juice: And here's the juice mix that SP enjoyed: I like the ease of juicing oranges in this juicer. The fresh orange juice is very, very tasty. Like yummy enough that I kinda sorta want a juicer now, but I'm not sure we'd use it enough to make it a worthwhile purchase. I guess if SP vowed to make me fresh juice every morning, it would be worth it! 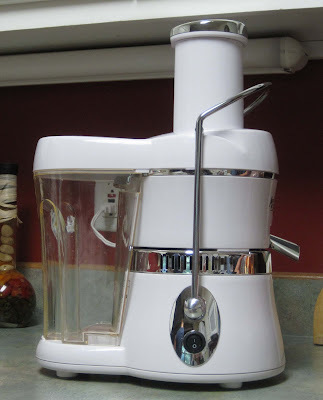 I'll have to start researching juicers. 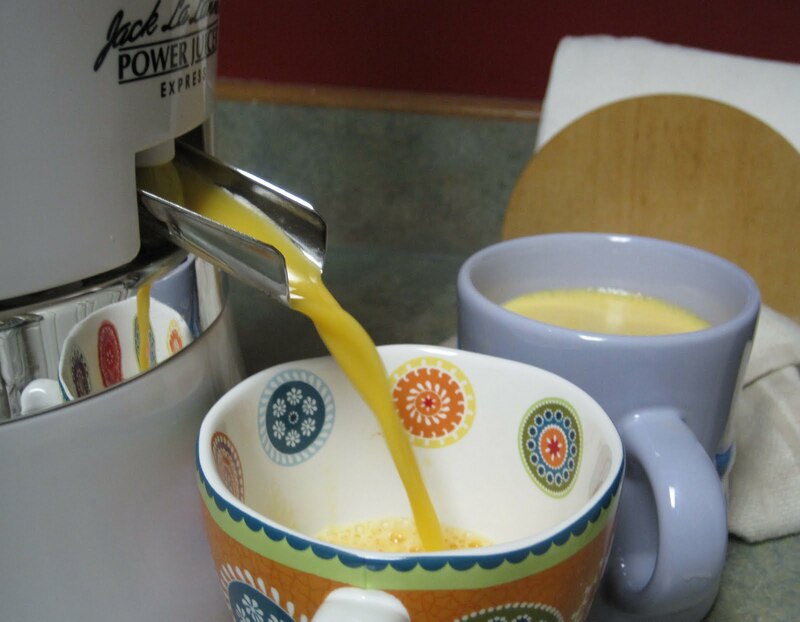 Of course there are other kitchen gadgets I want, and that are probably more important (like a new stand mixer), but... that fresh OJ is darn good. 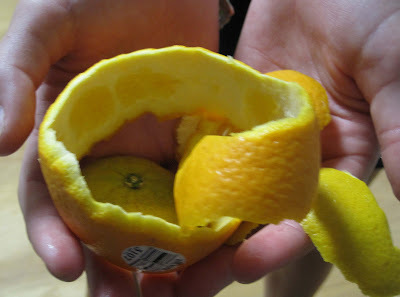 And we could easily make fresh lemonade. 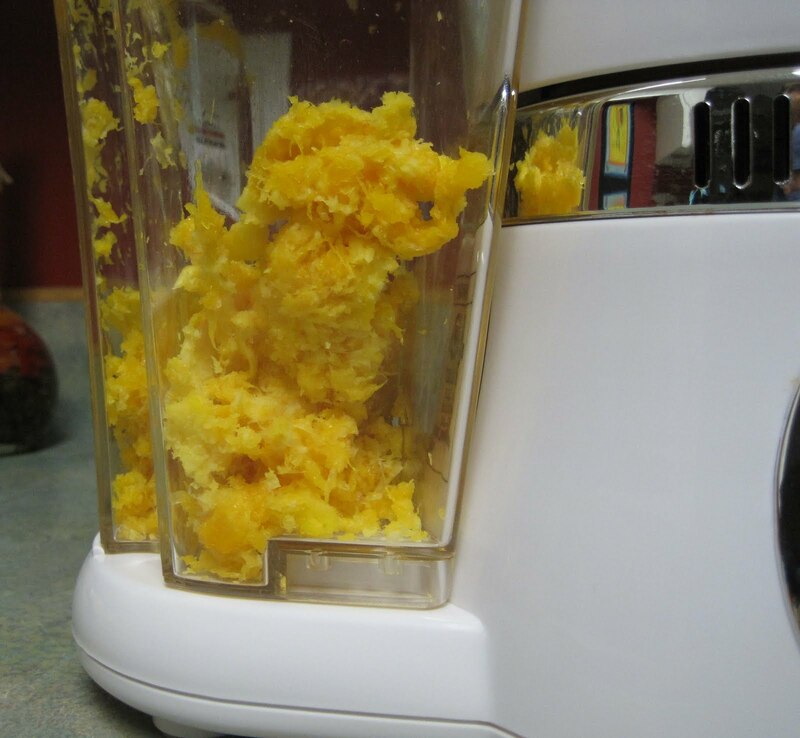 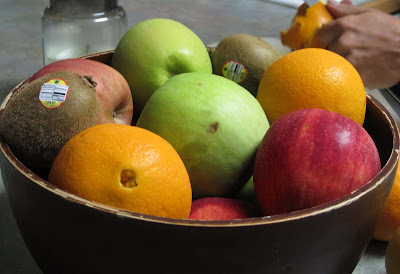 Thank goodness for Costco - if we had a juicer, we'd go through even more lemons and other fruits than we do now!